Elsewhere in the world, the advocacy for a sustainable alternative form of transportation continues. We read about such developments in Europe, and a little closer to home, we also see good examples of progress in Taiwan and Japan. The following is a short account of what advocates are doing, and who they are trying to get support from in order to make the needed changes and encourage the adoption of alternative modes of transport. Let's just say that it is no easy endeavour. An almost herculean task which would require much involvement and support from stakeholders in order to spearhead something of this scale. This is a small chapter in their continuing effort, and how that effort is reflected locally. In June 2014, WTB (Best known for their saddles, tires, rims, and grips), its sister non-profit TAM which advocates for sustainable mobility, Eurosport DHS, S.A. of Romania, and the European Cyclists’ Federation led a delegation of Romanian policy makers, city engineers and planners, advocates and transportation officials on a Sustainable Mobility Best Practices Study Trip of the Netherlands. On the Study Trip, Team Romania met with policy makers, transportation planners and engineers, as well as representatives of ipv Delft, an award-winning, private sector, multi-modal design specialist. All meetings and activities were reached using the seamless, integrated multi-modal functionality of the Netherlands transportation system as the delegates travelled via every mode except automobile. 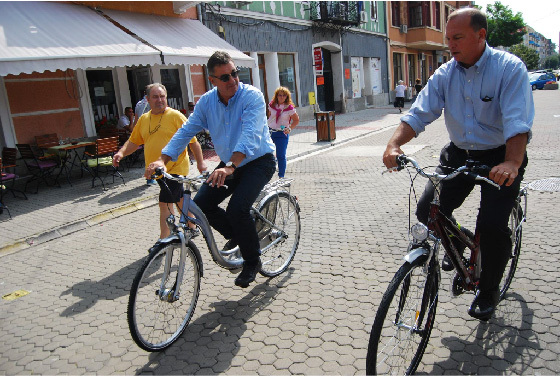 The purpose of the “seeing is believing” Study Trip was to educate and inspire key Romanian decision makers to the possibilities and opportunities when designing cities and towns for optimal transportation, most particularly for bicycles and pedestrians. Team Romania delegates and WTB/TAM President, Patrick Seidler shared the message that bicycles provide the answer to many of the problems that plague conventional urban development. Starting in 1998, Transportation Alternatives for Marin (TAM), has sponsored and led tours of the Netherlands to influential global transportation and government officials revealing non auto-centric transport and the benefits of multimodal design in urban settings. Success of these early tours can be seen through programs such as Safe Route to Schools, the NonMotorized Transportation Pilot Program, as well as the 2005 $4.5 billion SAFETEA-LU bill governing US transportation spending. Twelve trips have taken delegates from Romania, Taiwan, San Francisco, San Jose, Madison, Boulder, Minneapolis, Columbia, Sheboygan, Washington DC, and Marin County throughout the Netherlands and sometimes Germany by bicycle, rail, and multimodal transport. Inspiration from early tours grew into PeopleForBikes’ Greenlane Project as well as NACTO cities in the United States developing design guidelines modeled after proven and witnessed Dutch transportation success. Transportation Alternatives for Marin (TAM) believes deeply in experiential learning, one bike lane at a time, and one Best Practice Bicycle and Pedestrian International Study Trip at a time. With over 80 members across nearly 40 countries, the European Cyclists’ Federation (ECF) unites cyclists’ associations from across the globe, giving them a voice on the international level. Their aim is to get more people cycling more often by influencing policy in favor of cycling. ECF’s members are complemented by networks Scientists for Cycling, Cities for Cycling and the ECF Cycling Industry Club. The Cycling Industry Club was founded at Eurobike in 2011 and now has nearly 30 members from all sectors of the bicycle industry including bikes, parts, publishing and information technology services. It aims to create a €1million advocacy fund for cycling in Europe which supports ECF’s aim to double the level of cycling in Europe. While Singapore is gradually improving its cycling and jogging network with the intention to link the whole island via its Park Connector Network, (PCN), the system is far from being a sustainable alternative to the majority of commuters. Is the progress and emphasis too slow? Or are Singaporeans too impatient to give their government/planners more time? There are still constant complaints from locals as well as foreigners that the local roads are not bike friendly, and that the PCN involves too many sections that requires pushing or having to ride on the hostile roads. While there are plans announced for more PCNs to be constructed in the near future, there is no indication with regard to public education on cycling and sustainable mobility for all related stakeholders. 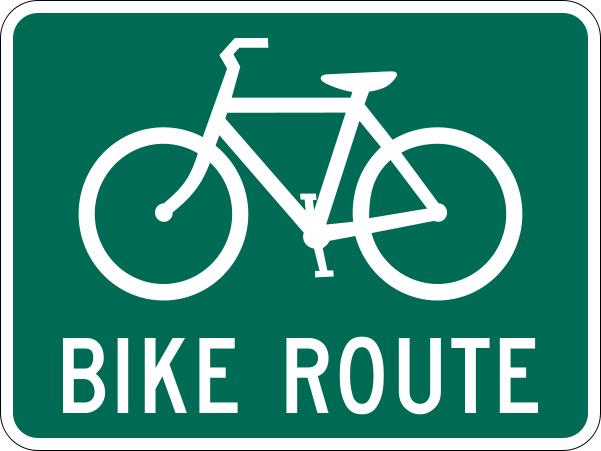 In fact, some recent episodes with regards to a high profile sport facility has sparked outrage with regards to the planners' questionable emphasis on cycling as an alternative transport. Despite the seeming lacklustre in local developments regarding cycling and bicycles as an alternative form of transportation to automobiles, it would be extremely hasty for us to conclude that such developments are at a complete standstill, or are non-existent. On the contrary, alternative forms of transportation are in fact extremely viable, and are indeed somewhat obviously prevalent. Kick scooters and other forms of human-powered wheels make their appearance in our busy city centre, and bicycles still tend to dominate our heartlands, right under our noses. Recreation and hobbies have their place, and while the PCN vein-work that is gradually working its way into functionality was based on those original premises, need may rise above want. Eventually. I may choke, briefly, before addressing our local grief on car purchases ... COE (hint*), but that said, realities will prevail. The drive for more developments and furtherance in alternative modes of transportation is there, albeit in the shadow of a rapidly changing city-scape. There are many areas Singapore, & Singaporeans will need to iron out before anything really takes shape. And this leaves us with a few questions, food for thought, if you will. - Are the planners and commuters' objectives and expectations in sync? Are both parties having different expectations with regards to Cycling as a Sustainable Transport? - Are we placing enough efforts (public campaigns and events, private and public sectors support & provisions) to garner support from all the necessary stakeholders? - Are there champions to lead the advocacy from both the public and private sectors? Bikezilla welcome readers to share their views on this topic.